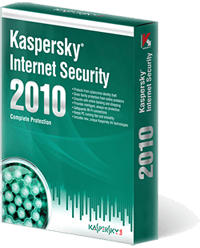 Kaspersky® Internet Security 2010 automatically protects you and your family at all times – whether you work, bank, shop or play online. 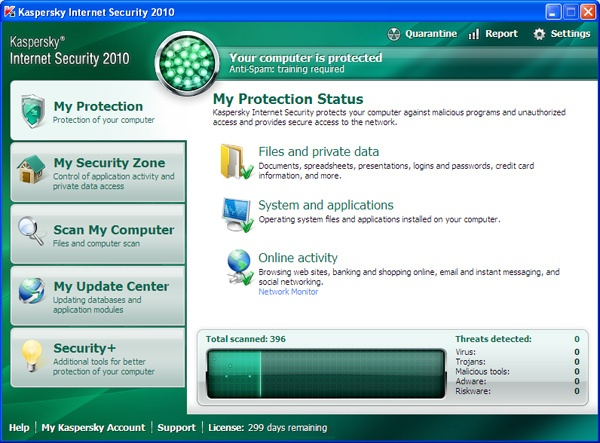 Kaspersky® Internet Security 2010 has everything you need for a safe and secure Internet experience. 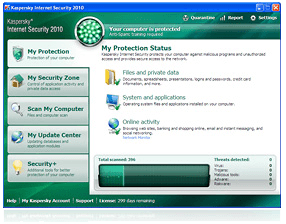 All the features and technologies of Kaspersky® Anti-Virus 2010 are included in this product. Keeps your money and identity safe Improved! Allows questionable applications and websites to be run in Safe Run Mode New! Your files won't be ruined by hackers Improved! Unique Safe Run Mode for questionable applications and websites New! Security Application Monitor to give you full picture on programs installed on your PC Improved! Identity Information Controller to give valuable data an extra layer of protection Improved! Kaspersky® Toolbar for Internet browsers to warn you about infected or unsafe websites New! Advanced identity theft protection, including improved secure Virtual Keyboard Improved! Urgent Detection System to stop fast emerging threats Improved! Next generation proactive protection from zero-day attacks and unknown threats Improved! Special Game Mode to suspend alerts, updates and scans while you play New! Run questionable applications and websites in Safe Run Mode New! Enter logins and passwords using secure Virtual Keyboard Improved! Enable Parental Control for added child safety online Improved! Turn on Game Mode to suspend alerts, updates and scans New! Add folders and files with valuable data to the protected area Improved! Burn a Rescue CD to restore your system in case of infection Improved! Please Note: Safe Run Mode doesn't work with Microsoft® Windows® XP x64, and works with limitations on Microsoft® Windows® Vista x64 and Microsoft® Windows® 7 x64.